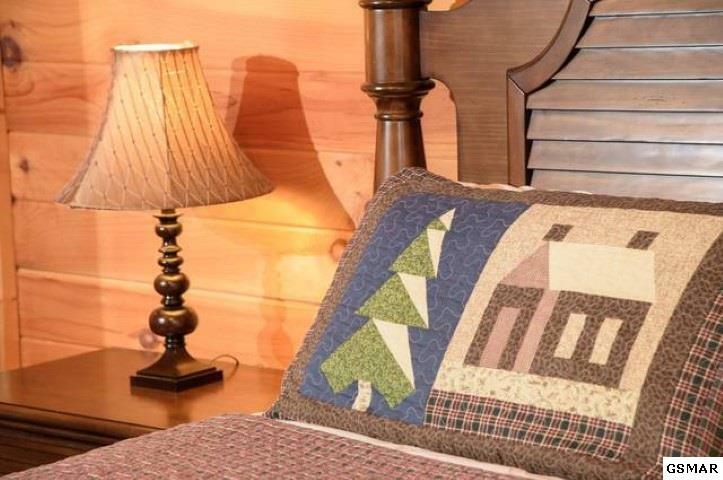 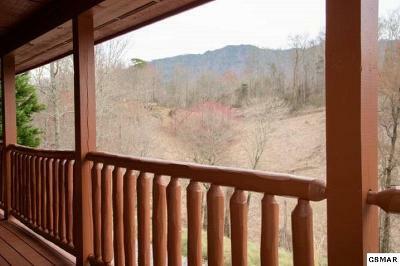 Charming one level cabin in the woods with mountain views! This beautifully decorated 2 bedroom, 2 bath home is immaculate and ready for you. 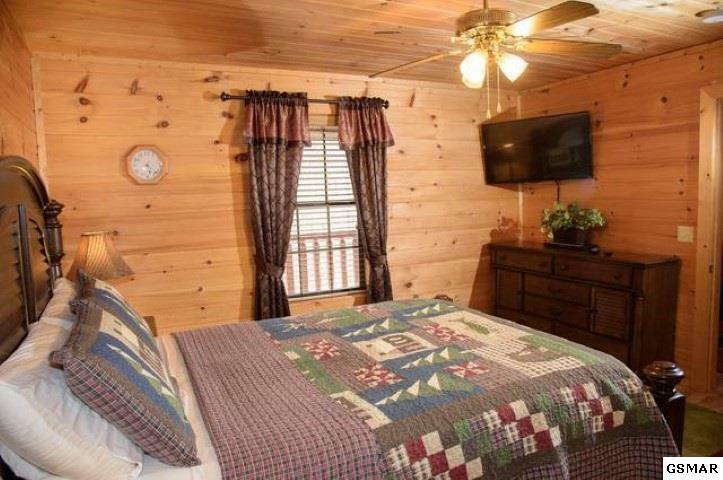 Each bedroom of the home has it's own private bathroom and each are located on opposite ends of the home. 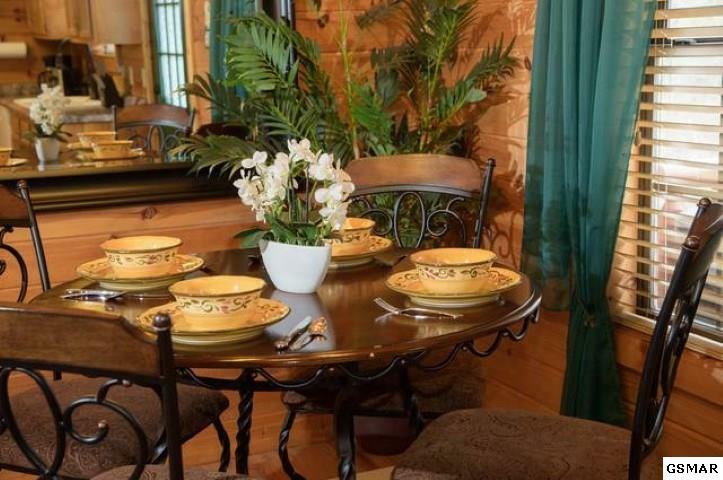 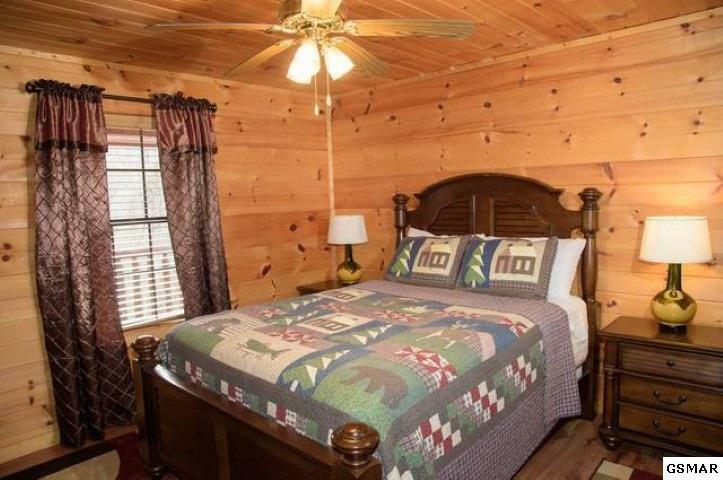 The property is beautifully decorated and features an all wood interior, along with cathedral ceilings. 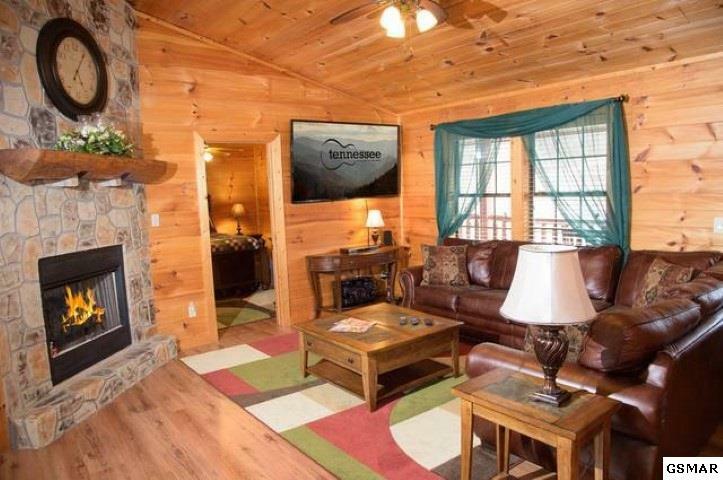 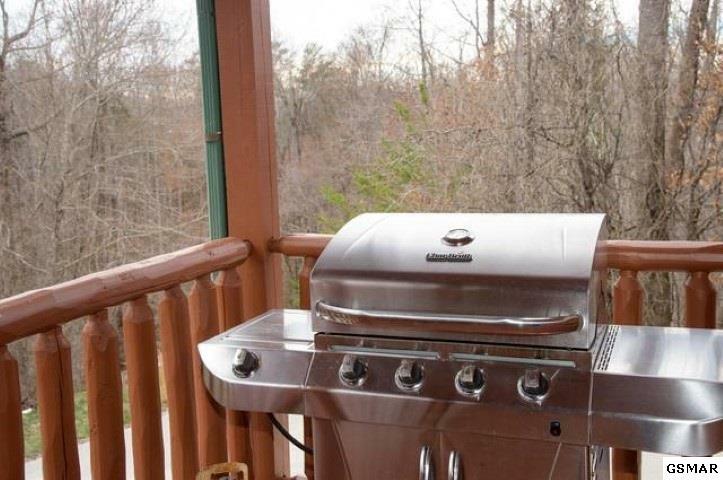 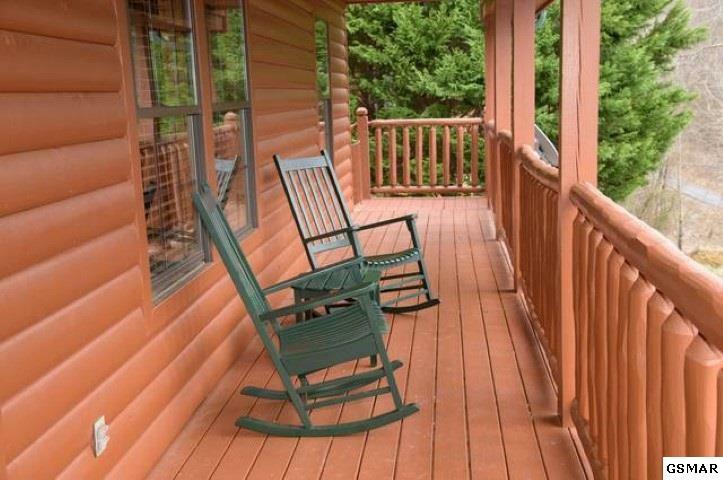 The front porch is perfect for relaxing and enjoying the peacefulness of mountain living. 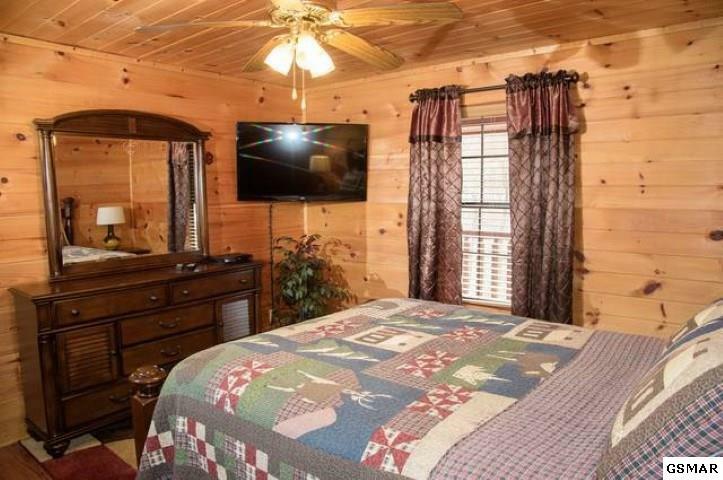 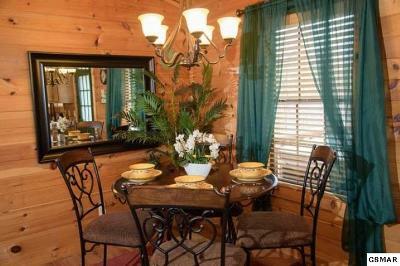 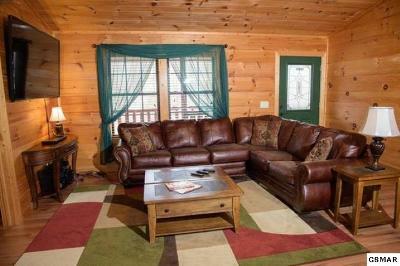 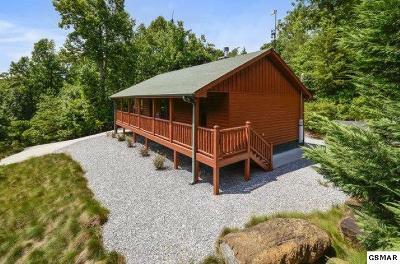 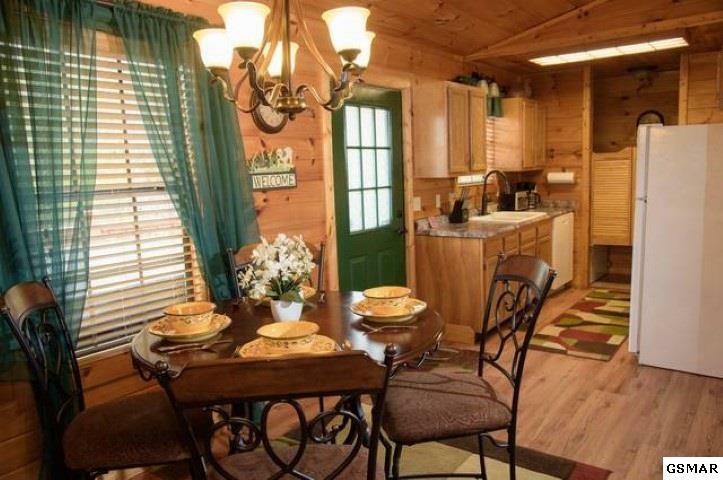 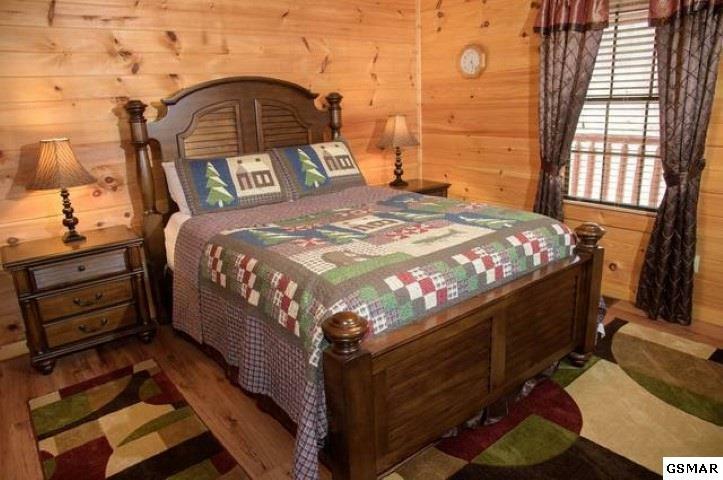 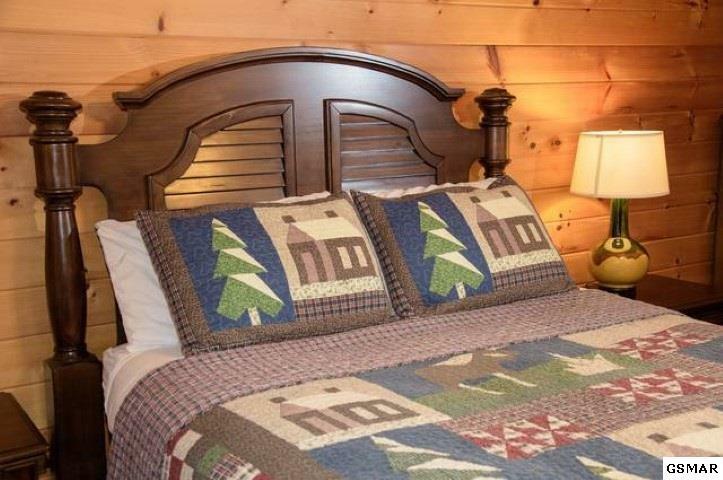 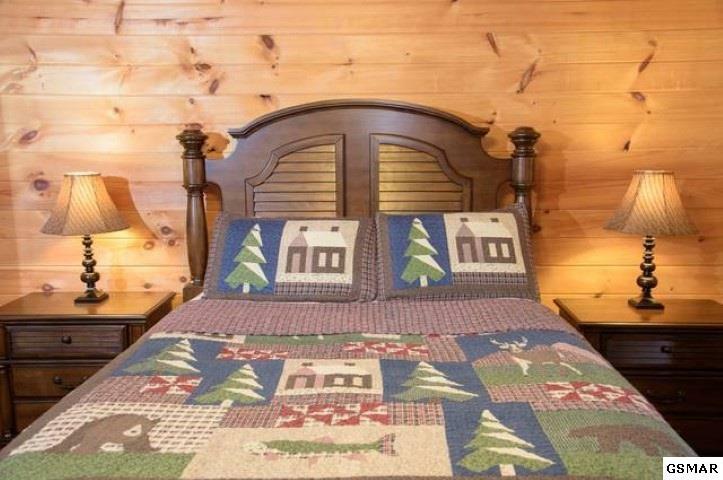 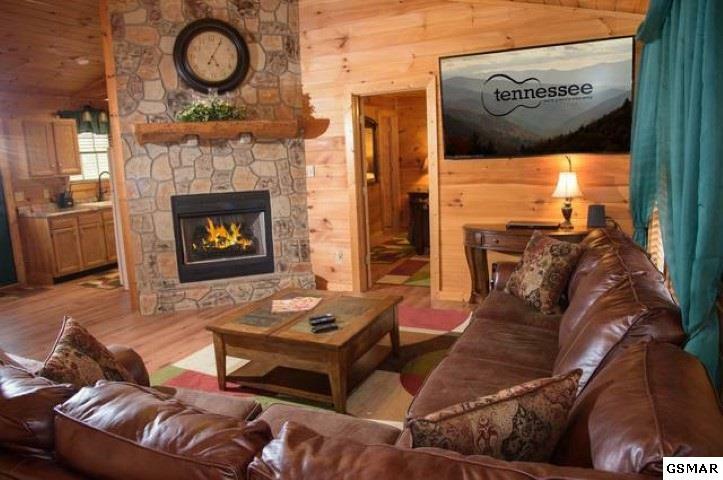 Only a short drive to Pigeon Forge, it would make an excellent rental property or permanent residence. 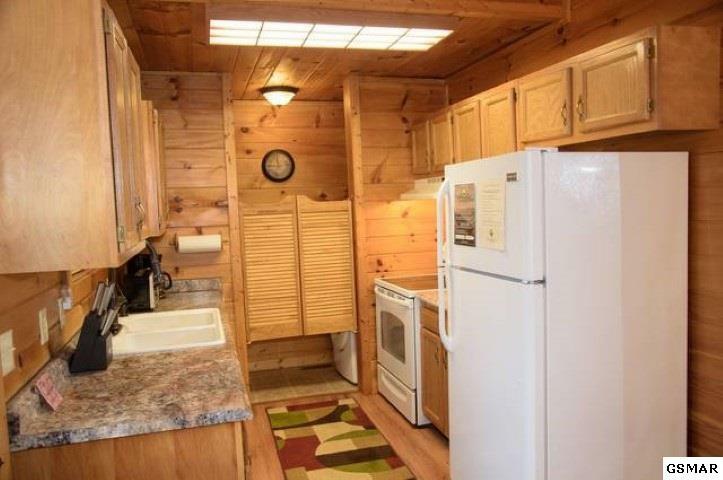 New flooring, counter tops, appliances, ceiling fans and fixtures in 2012. 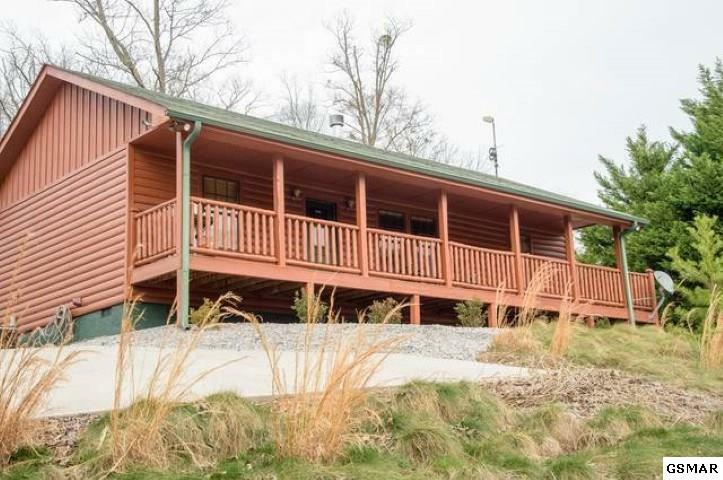 This home was finished with a 10 year, solid stain in 2017 and new air conditioning unit in 2014. 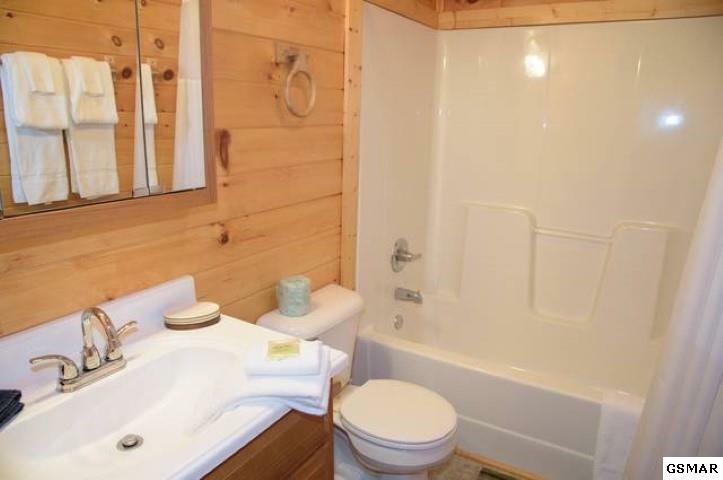 Also, the crawl space was sealed by Master Dry Encapsulation. 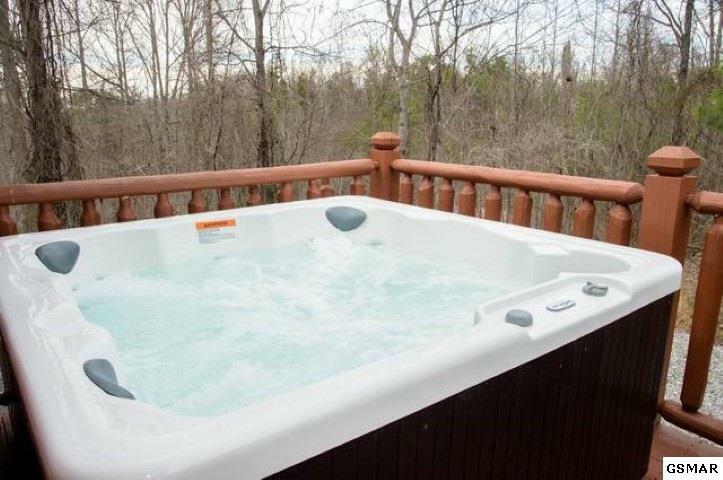 The back deck features a brand new in 2019 large, 5-person hot tub.